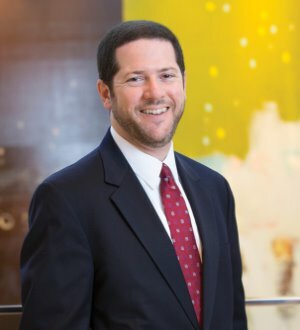 Adam Biegel leads Alston & Bird’s Washington, D.C., antitrust practice team. He has substantial experience representing clients on antitrust counseling and litigation matters, including those involving government and internal investigations, mergers and joint ventures, pricing and distribution practices, compliance counseling and training, multidistrict litigation and pre-merger reviews under the Hart-Scott-Rodino Act, particularly in the health care, manufacturing, financial services and chemical sectors. He regularly represents clients before the U.S. Department of Justice (DOJ) Antitrust Division, Federal Trade Commission (FTC) and state attorneys general, and coordinates many cross-border competition matters. Mr. Biegel has been recognized for his antitrust experience by Chambers USA and Best Lawyers®. He is a longtime member of the leadership of the American Bar Association’s Section of Antitrust Law, having served on its governing board and chaired its Corporate Counseling Committee. He speaks and writes regularly on antitrust topics and has contributed to publications by West, Global Legal Group and the ABA. Mr. Biegel served as a law clerk to the Hon. Frank M. Hull, U.S. Court of Appeals for the Eleventh Circuit. Prior to attending law school, he worked as a reporter for the Arkansas Democrat-Gazette and on the legislative staff of U.S. Senator Orrin Hatch (R-Utah).